Great teacher, excellent service and passed with only one minor... highly reccomended instructor! I would highly recommend Mark he is a top class driving instructor!! Very patient & made me feel at ease as i very nervous! I really cant thank him enough for everything hes done for me. Training ability of the highest order. Very understanding and professional. I had three instructors before Mark and by far he was the best. If you are a bit old (40 plus!) or nervious or both (like me!) then I recommend SLK to you. You will not regret it - promise! The prices are great bearing in mind you will be trained by a Grade 6 instructor who loves his job and knows his stuff! The answers he gave to my questions showed a prefect understanding of the driving theory and practice. Needless to say I passed with SLK after failing twice. Grade 6 Adi I Helped train Mark to pass his Adi part 3 exam, we have stayed in touch ever since.He runs his driving school to the highest standard is extremely committed to customer service.I would highly recommend him to any person seeking a honest and dedicated Instructor. Mark is a great driving instructor! Not only is he patient and understanding, he is friendly and easy to get along with, all qualities that made learning to drive an enjoyable experience for me. I would highly recommend him. 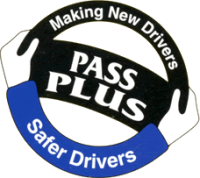 Mark is a great instructor, and combined with a comfortable, friendly environment makes learning to drive extremely easy, helping me pass first time. I passed my driving test today my first time doing it I would like to thank Mark wouldn't of done it without him he's great help makes you feel relaxed in the car and explains everything so you understand does his best to fit the lessons round you would highly recommend Mark for anyone that wants to start driving. Glad I choose to do my lessons with himself. I can not thank Mark enough for the help and support he has given me. I talk a lot so he has put up with that and has been very patient whilst teaching me. Learning to drive with Mark I felt comfortable because there was non of this 'I'm a teacher you're a student, do what I say'' he would happily find out different ways to explain something that I didn't understand or had struggle with. Today I passed first time! 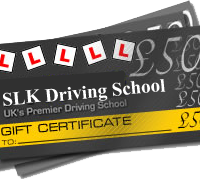 Mark is positive,encouraging,easy going driving instructor!..Cant Rate Him Highly Enough!